How much did they buy the house for? When you’re interested in buying a Spring Texas house, do you wonder how much the sellers paid for it? Or maybe you wonder how much the sellers mortgage is? This is what I call “good to know” information. But that’s all it is. How much a seller paid for his house or how much he owes on his mortgage has absolutely no bearing on the value of the house or what the seller would be willing to sell his house for. It is “good to know” information and that’s all. 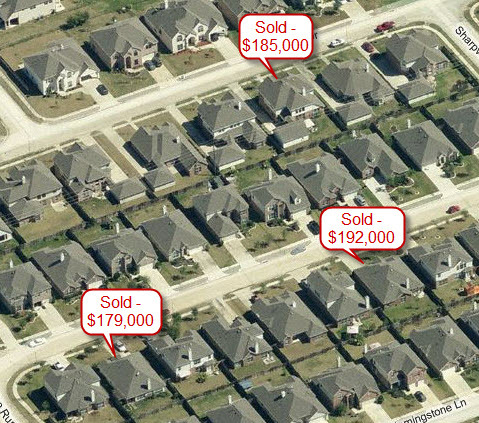 What if the seller paid $200,000 for his Spring Texas house in July of 2010 and now he has it listed for $180,000. Knowing he paid $200,000 tells you he’s losing money on the sale of the house. It doesn’t tell you if $180,000 is a good price or if he will take less than $180,000. It’s “good to know” information and that’s all. What if the seller paid cash for the house and he doesn’t have a mortgage. Since the seller doesn’t owe anything on the house, does that mean you want the house for “FREE”? Knowing whether the seller has a mortgage on the house is “good to know” information and that’s all. What you really want to know is what have other similiar Spring Texas homes located in the same subdivision or in the same area recently sold for. Your Realtor can provide you with recent sold data. It is this information that is better than “good to know” information. Recent sold data is what your offer price and the eventual agreed upon sales price should be based upon. What’s the difference between a tax assessed and an appraised value? How accurate are the Zestimates?